We would like to present you our newest point of sales: La Casa del Tabaco Latem shop-in-shop. Shop-in-Shop La Casa del Tabaco Latem is located in 'Belgo' at Sint-Martens-Latem. This shop is specialised in exclusive spirits and exclusive products as Caviar, Chocolate and Truffles. Cigar Shop La Casa del Tabaco Brussels South is located in the beautiful church square in Ukkel. You can easily park in the vicinity of the church or in one of the many side streets from the church square. La Casa del Tabaco Brussels South is the place for cigar lovers and is the best way to experience the most refined flavors. Anna, Claudine and Filip ensure that each visitor receives the outstanding service that he or she deserves. We offer cigars from Cuba, the Dominican Republic, Nicaragua, Honduras, Costa Rica, the Netherlands and Belgium. In addition to cigars we also offer cigarettes, lotto, pipes, associated premium smoking accessories, spirits, candles, home scents and luxury gifts. We will be present at the 'Partagas Festival 2018' in Havana, Cuba. 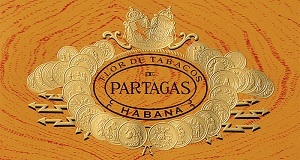 The festival is organized by La Casa del Habano Partagas. This year the festival is from the 12th until the 16th of November. Wednesday 14th: Day at the countryside with visits of the cigar plantation of Pinar Del Rio. 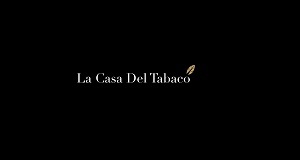 With some pride we would like to present to you our new website for La Casa del Tabaco. 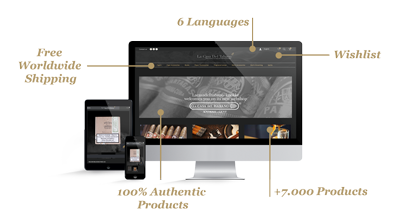 Now you can find not only information on our cigar stores, but also a complete on-line store for cigars, pipes, pipe tobacco, smoking accessories and care products for men, spirits, luxury gifts and much more. You read it right, your trusted on-line shop for Cuban cigars and accessories La Casa Del Habano Knokke or LCDH Knokke has a new location. Now you no longer order via www.lacasadelhabano-knokke.be, but at La Casa del Tabaco www.lacasadeltabaco.com. The cigars remain the same, 100% genuine Habanos, just like the ones we have supplied to customers of LCDH Knokke for years. What is changing for you as a customer? At our more efficient and better looking La Casa del Tabaco web shop, just like at La Casa del Habano, you can always count on perfect service and top-quality cigars. Also, you will find a better and wider product range here: in addition to the authentic Habanos from top brands, such as Cohiba, Montecristo, Partagas and Romeo y Julieta, the new web shop of La Casa Del Tabaco also has Belgian, Costa Rican, Dominican, Honduran, Dutch and Nicaraguan cigars. We also have an even wider range of cigar accessories, as well as pipes, accessories and care products for men, spirits and much more. Do you any questions? Do not hesitate to contact us, we will be happy to help further! The La Casa Del Tabaco concept stands for specialized luxury franchise stores, focusing on cigars from Cuba, the Dominican Republic, Nicaragua, Honduras, Costa Rica, the Netherlands and Belgium. In addition to cigars, you will also find pipes, pipe tobacco, smoking accessories and care products for men, spirits, luxury gifts and much more. 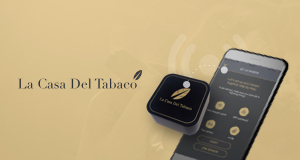 La Casa Del Tabaco is part of the La Casa Del Tabaco Group, as well as, among others, La Casa del Habano, which specializes in the sale of Habanos. 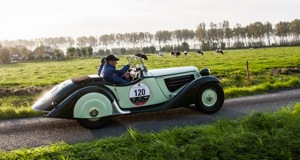 La Casa Del Habano Knokke & Gent is proud to be silver sponsor of the Zoute Grand Prix for the next three years. Dominique Gyselinck: Habanos Man of the Year – Hombre del Habano 2016! 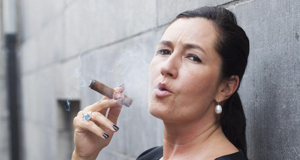 Dominique Gyselinck Founder and Managing Director of La Casa del Habano Knokke – Ghent and La Casa del Tabaco Bruges - Hasselt - Kortrijk and Knokke has won the prestigious award of ‘Habanos Man of the Year – Hombre del Habano’ in the category Business! This prestigious award was announced and given on the occasion of the 18th Habanos Festival in Havana, Cuba, during the Exclusive Gala Dinner.